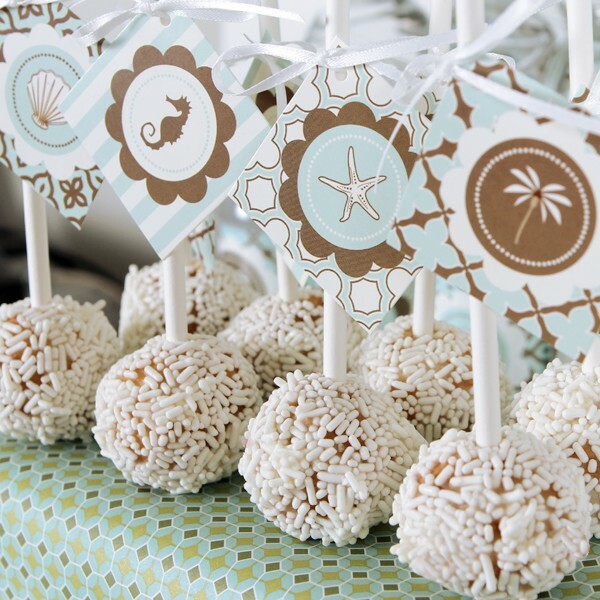 Is there a more beautiful and perfect setting for a celebration than the beach? 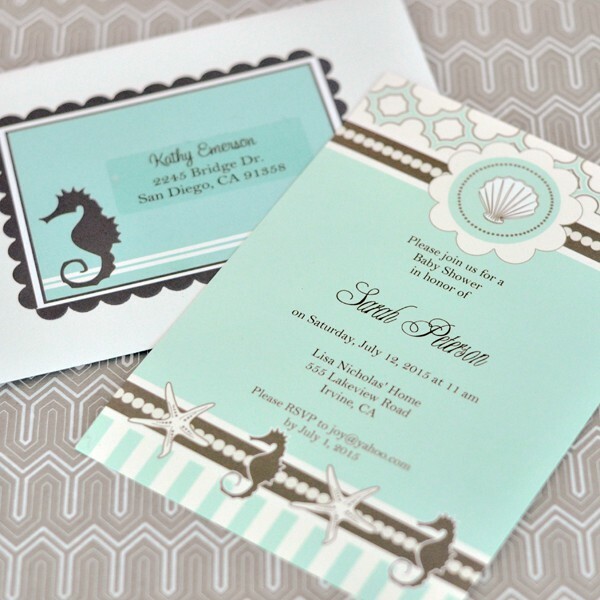 The sun is shining, the waves are gently crashing, and the atmosphere is oh so heavenly. 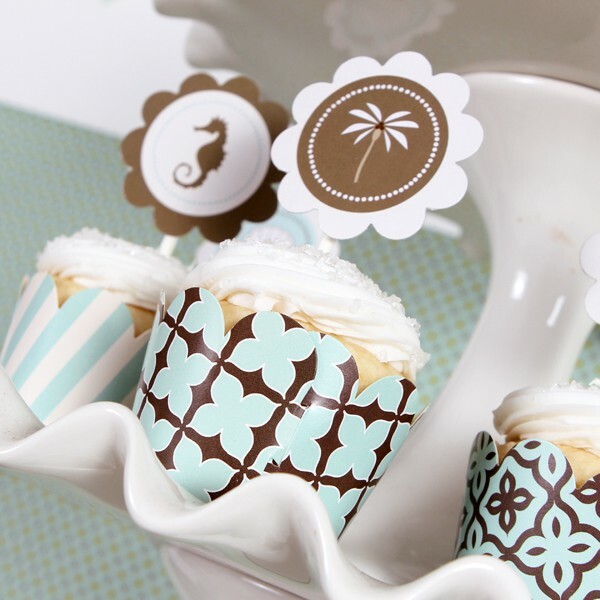 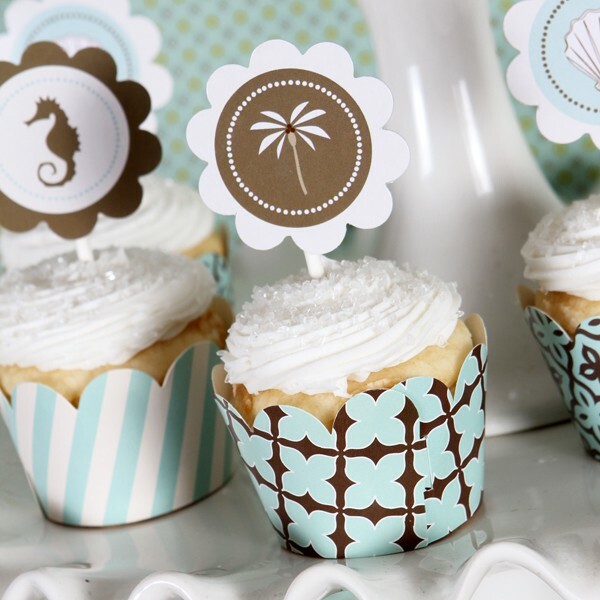 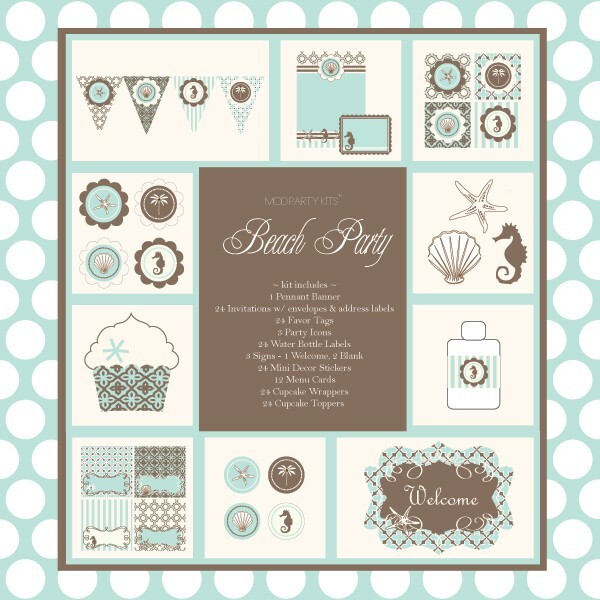 Plan your upcoming party with our beautiful Beach Theme Mod Party Kit! 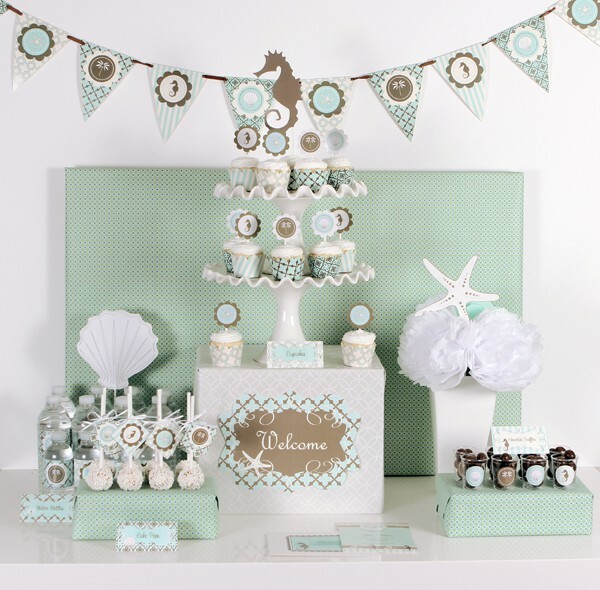 This comprehensive and modern kit will save you the money of hiring a party planner and the stress of decorating. 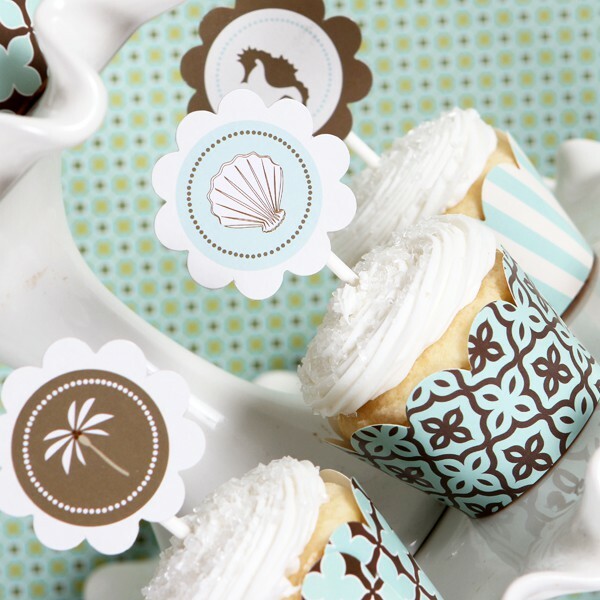 This custom kit contains all the beachy accessories you could ever dream of! 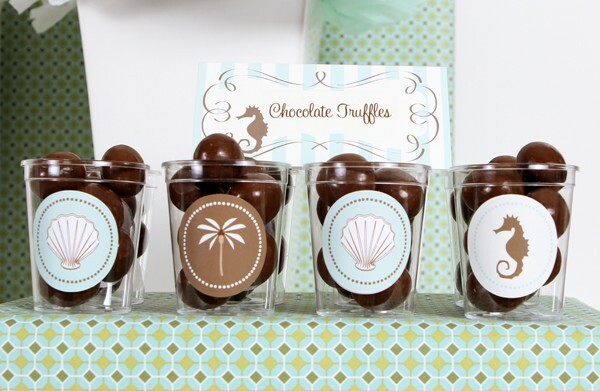 From shading palm trees to swimming seahorses and shells, we have the entire ocean in one little kit! 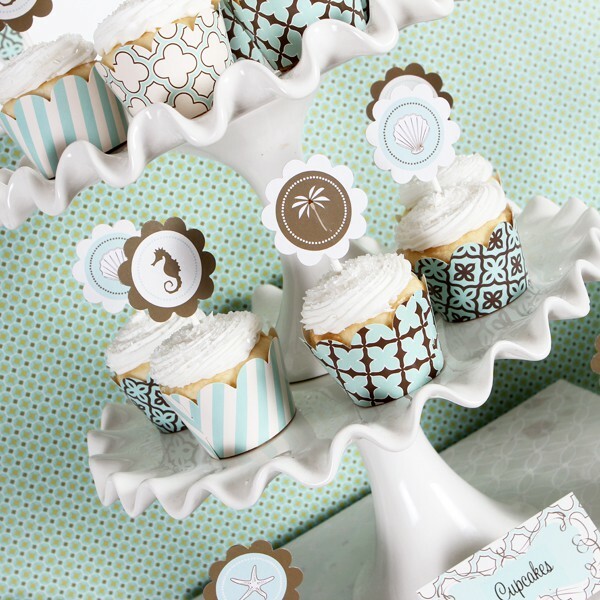 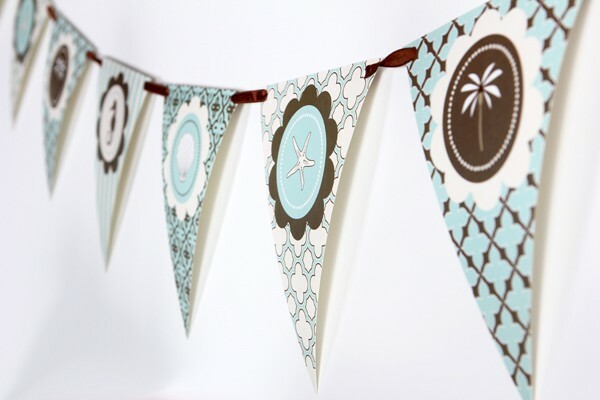 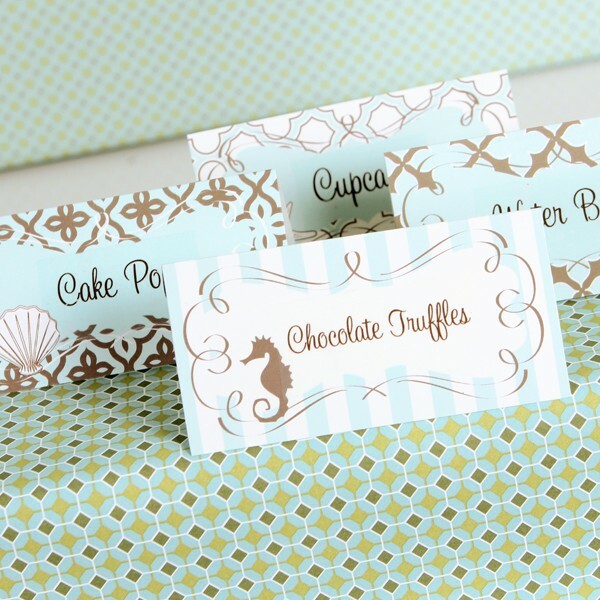 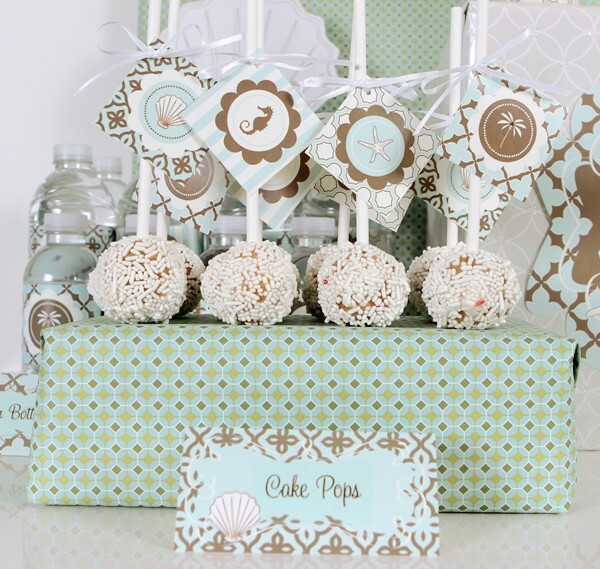 Beach designs are printed on each item to create a beautifully coordinated themed party. 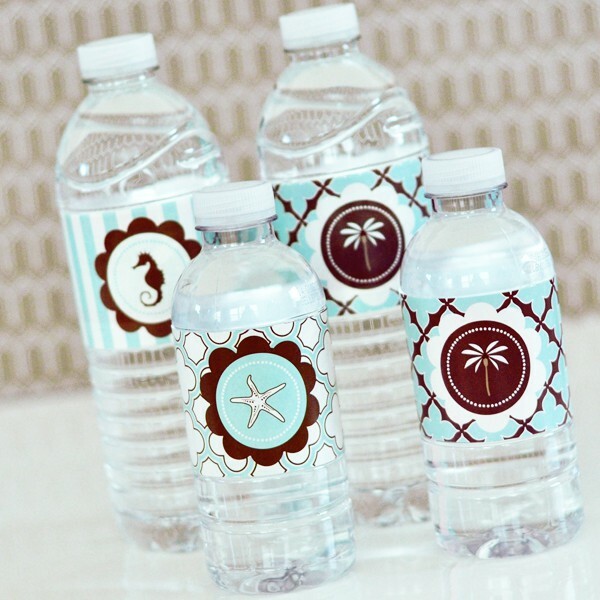 All your guests need is a little sunblock! 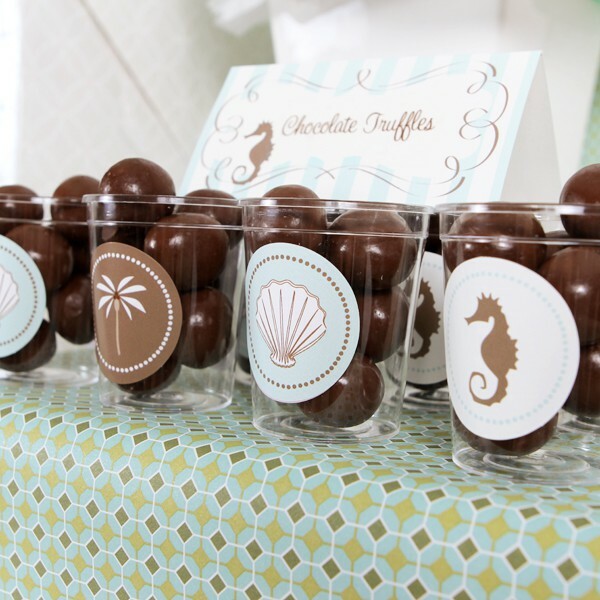 The Beach Party ModParty Kit has a variety of personalized favors that perfectly match this kit. 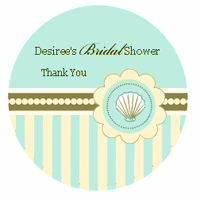 To view all the favors that complement this kit, click here.